Daytime photos of this location can be viewed here. 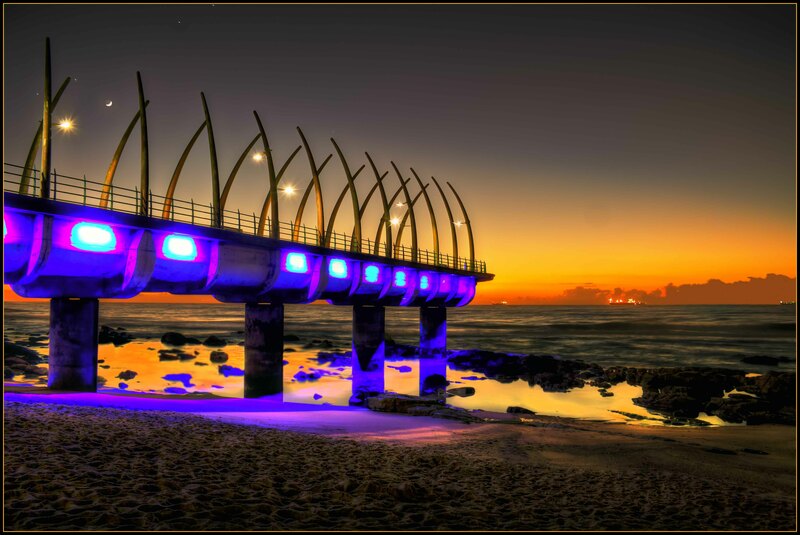 View a previous photo (click here), also taken at around sunrise, looking towards the Umhlanga lighthouse and Durban. That is an amazing photo. How did you get that affect on your camera?